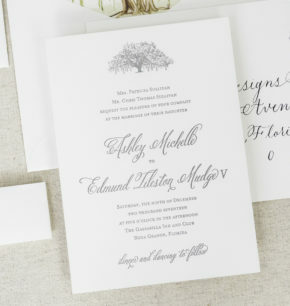 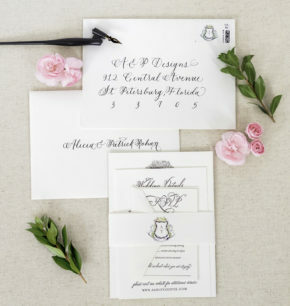 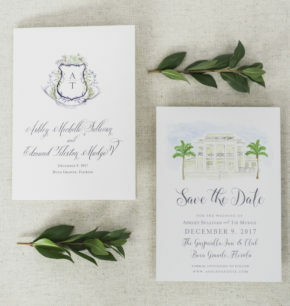 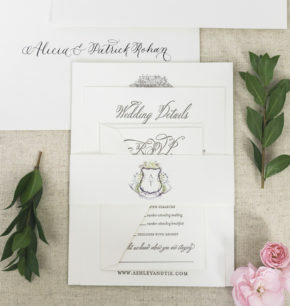 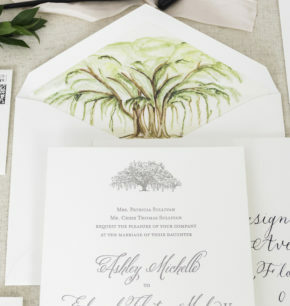 This couple wanted their overall paper suite to be classy and timeless with personalized watercolor touches unique to their event. 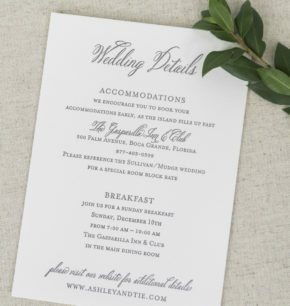 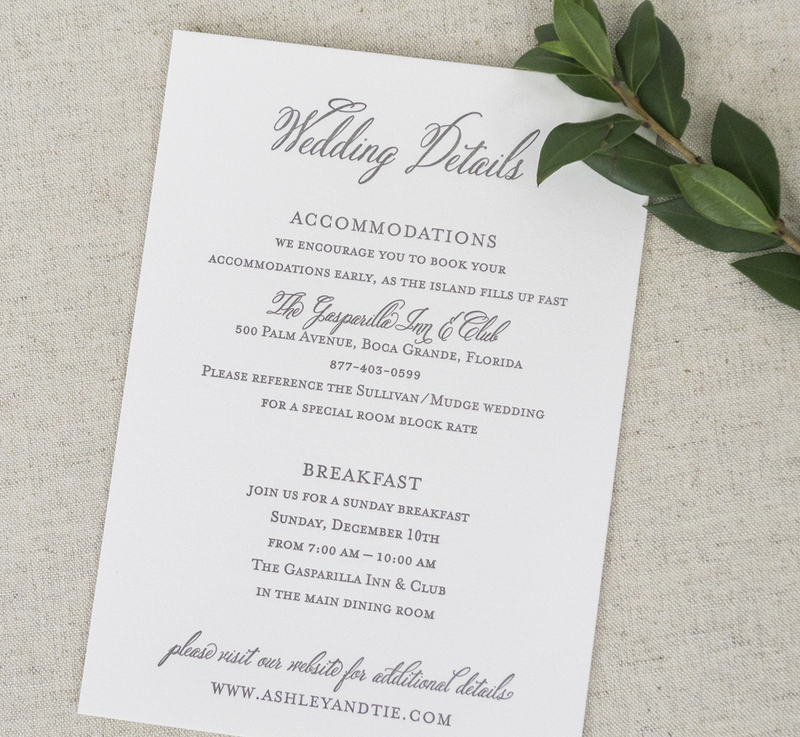 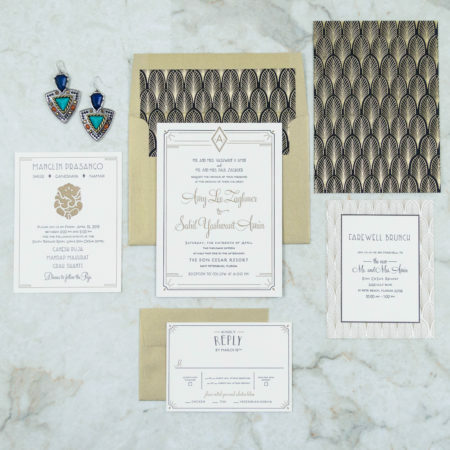 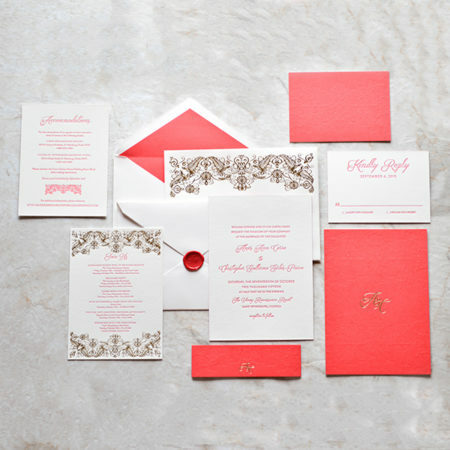 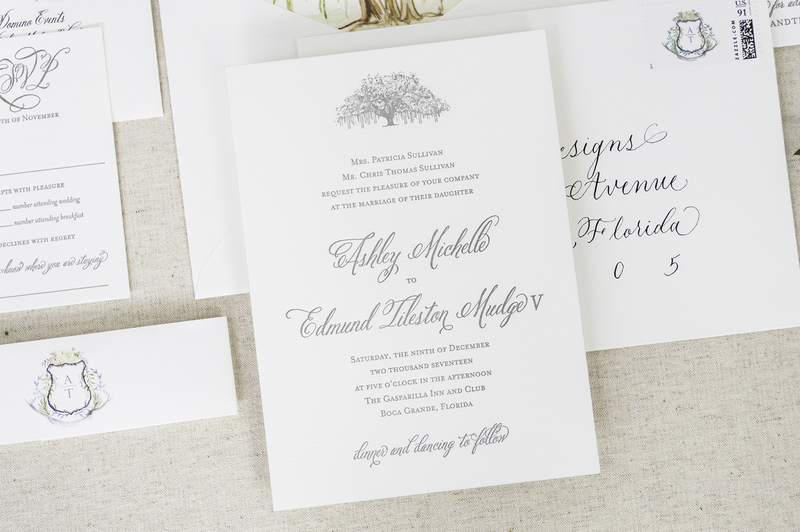 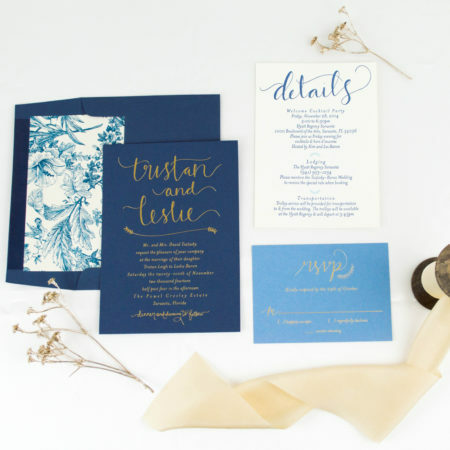 For a traditional and elegant look, we picked a sophisticated font and letterpress printed the entire suite on a beautiful cotton cardstock. 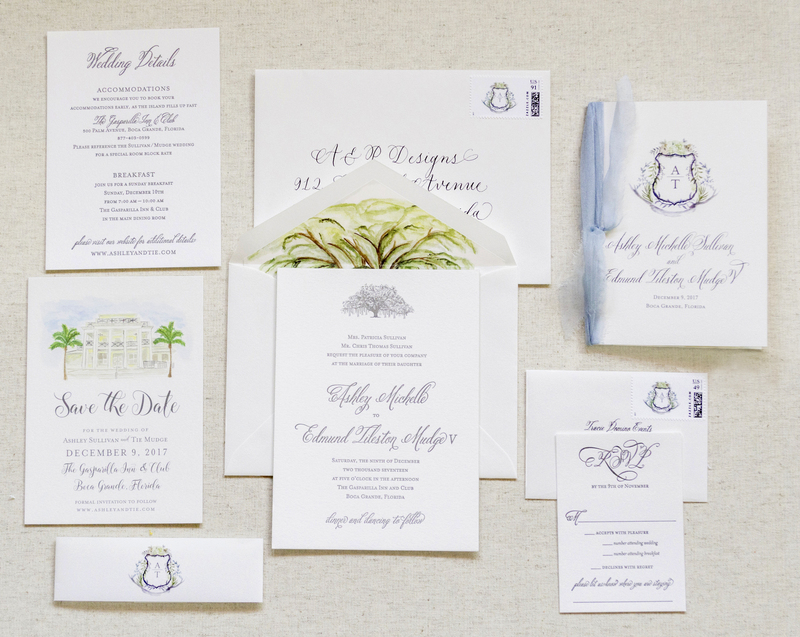 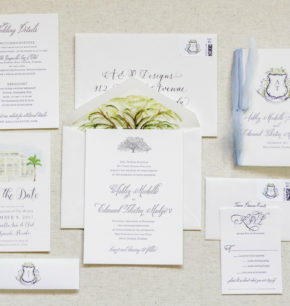 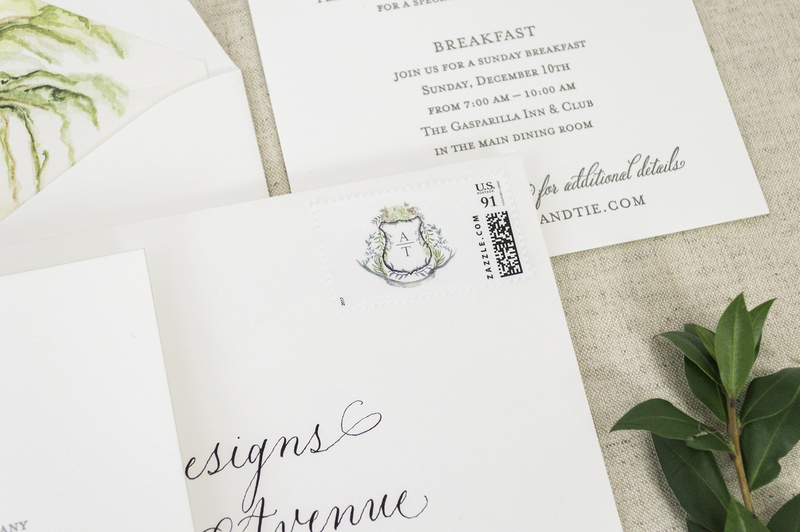 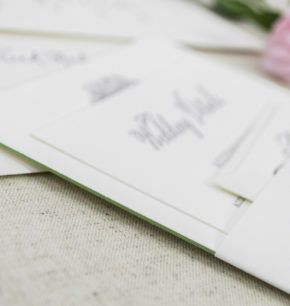 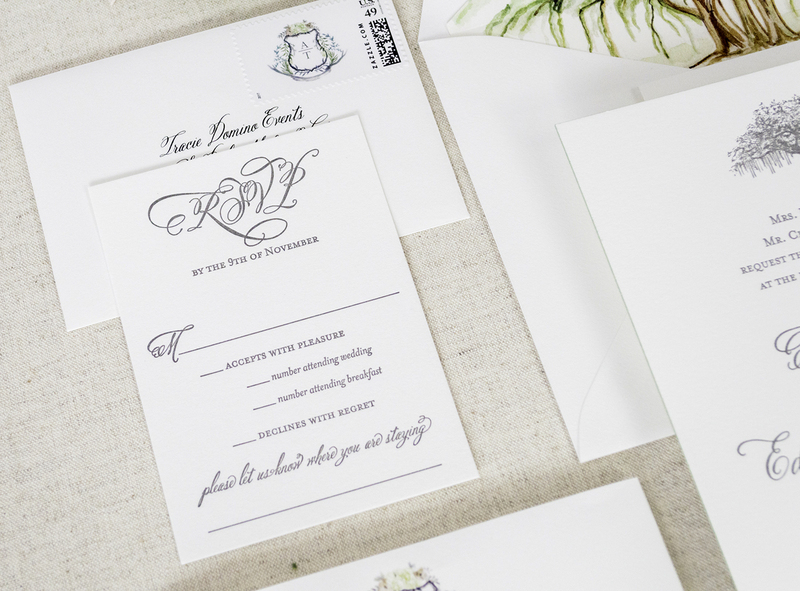 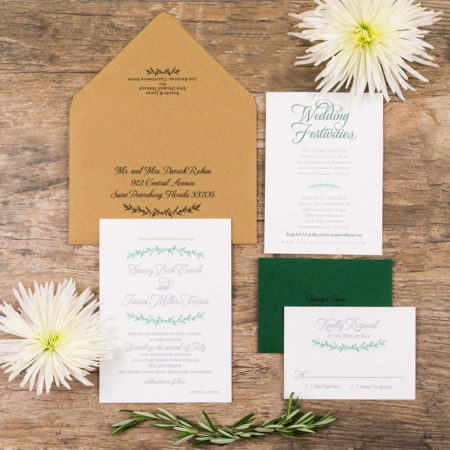 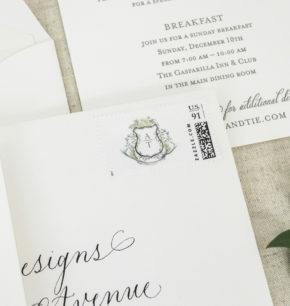 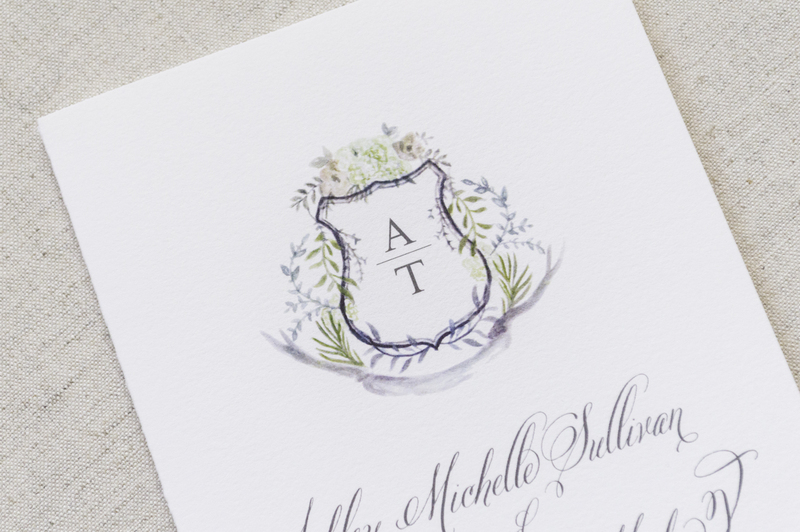 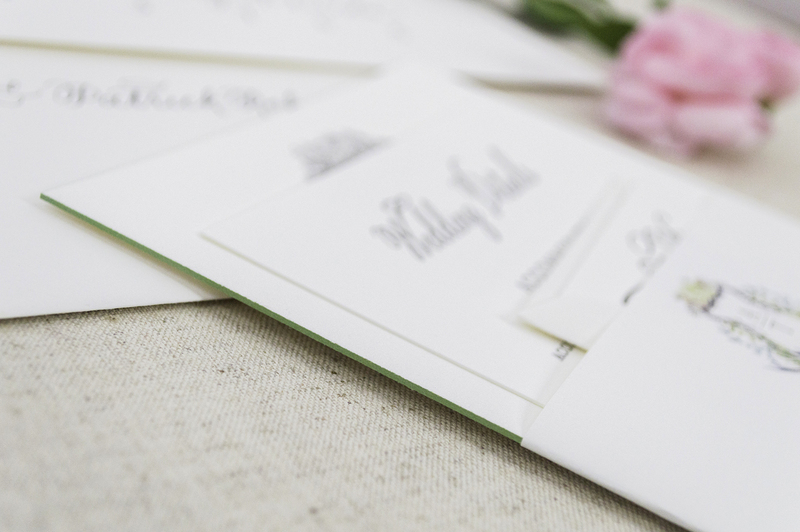 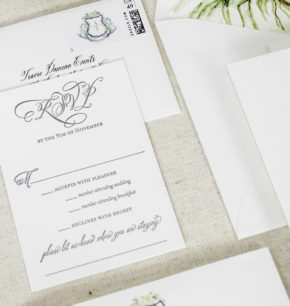 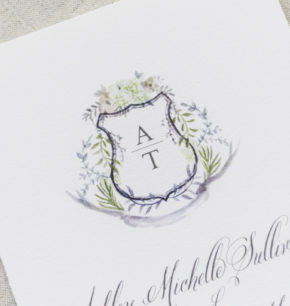 To further customize the suite, we edge-painted each invitation in beautiful green ink. 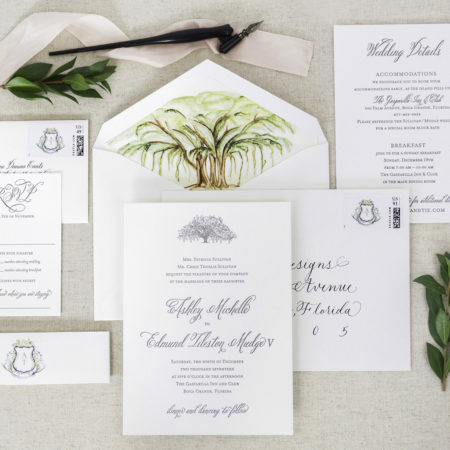 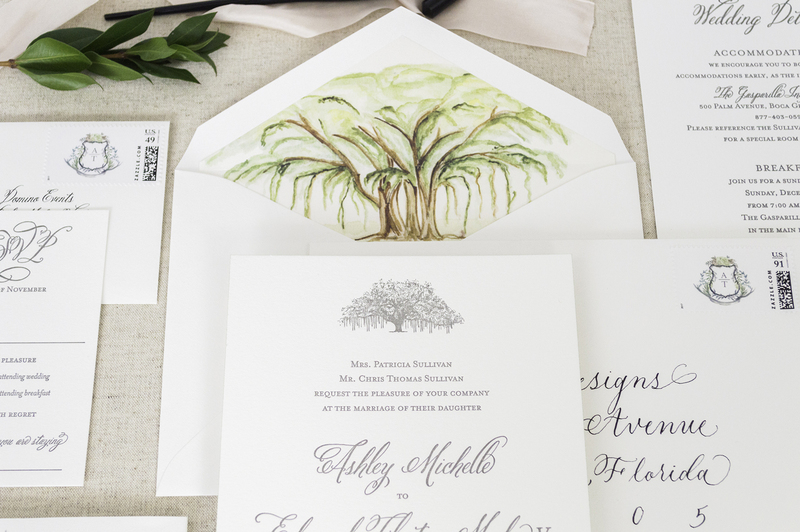 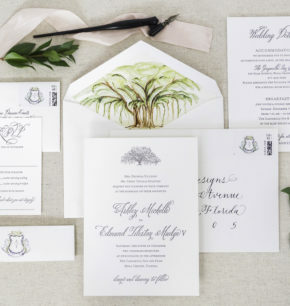 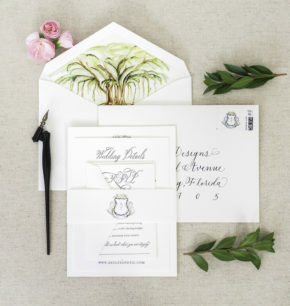 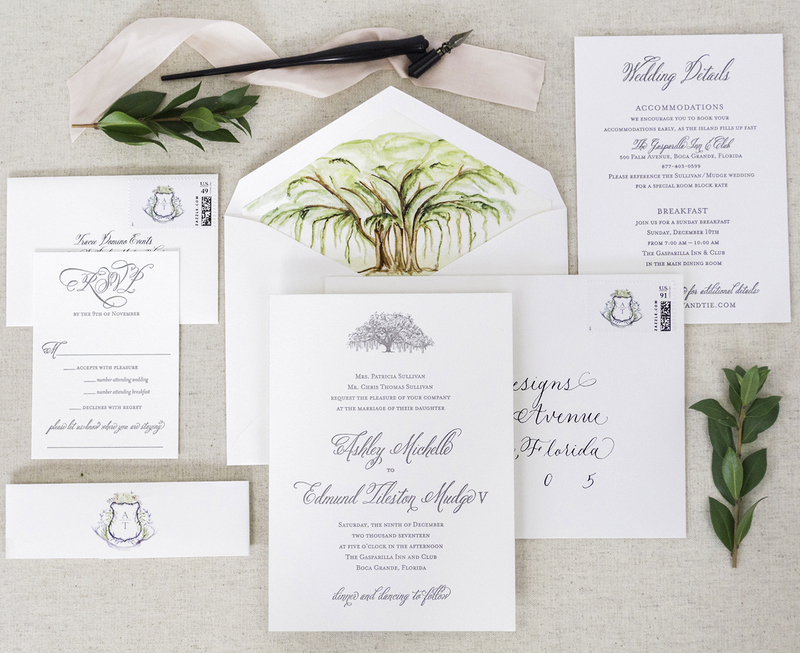 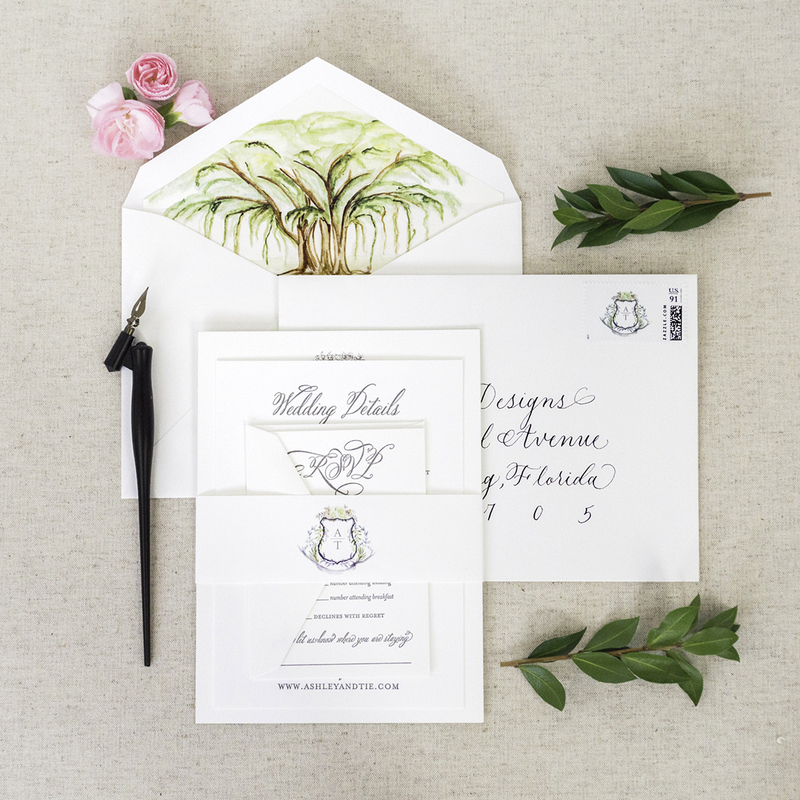 We also created a custom watercolor banyan tree for the envelope liner, and we created a hand-drawn oak tree for the main invite. 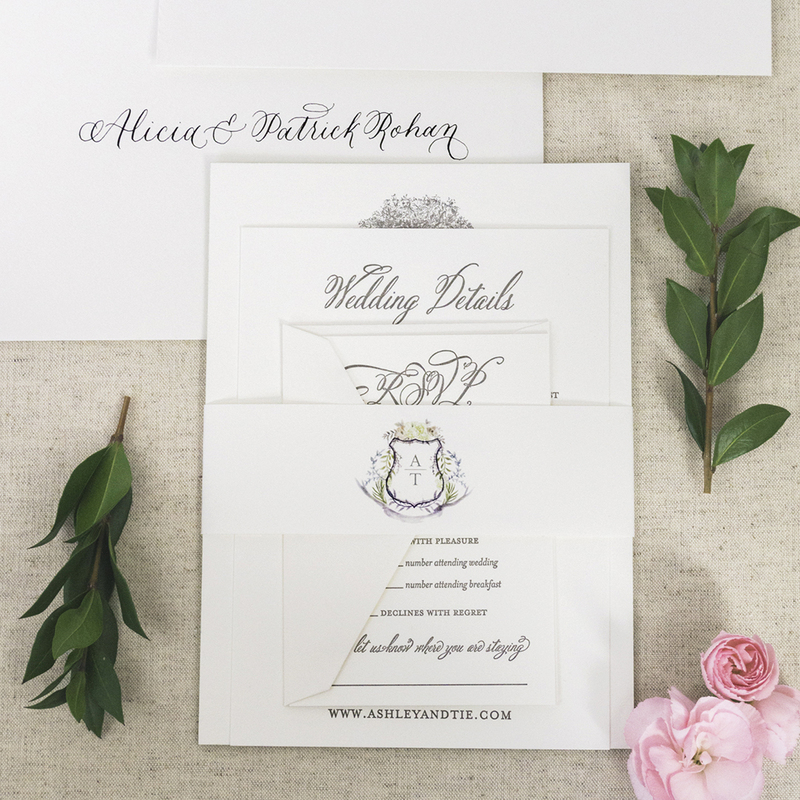 As a finishing touch, we created a custom monogram crest for the bellybands, postage stamps, and Day-Of paper goods.